The UMKC Staff Professional Enrichment Fund and Emergency Relief Funds are designed to recognize the importance of engaged, well-qualified staff to support the overall mission of the university. These funds will not only have a significant impact on the individuals who receive support but also on the entire campus. 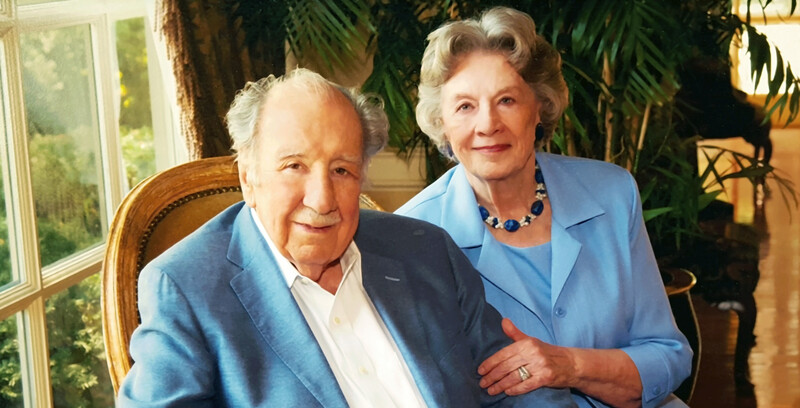 The funds were made possible through the generosity of two long-time champions of the university. These donors understand that a world-class higher education institution not only needs accomplished faculty but also a capable and competent staff. So much of our campus culture and everyday operations depend on the leadership, contributions and function of staff within every school, division and department of the university. These funds are provided with the intent to build a community of recipients and donors outside of the initial endowment, strengthening community bonds with UMKC and allowing staff to help each other through their personal donations (“help-us-help-each-other” approach). The Staff Professional Enrichment Fund supports qualified staff by reinforcing their competencies and strengthening their talents and abilities. This fund can be used to help cover registration fees and travel costs for professional development opportunities, such as conferences, conventions, summits, seminars and professional development materials/tools. Funding is available for individuals or a group of staff. Benefit eligible, administrative, service and support staff who have been employed for at least six months at the time of application are eligible to apply for the Staff Professional Enrichment Fund. An individual staff member cannot receive more than one award per year with a maximum of $1,000 (cumulative) over a consecutive three-year period. The staff member’s supervisor must endorse and support the endeavor through time away or through partial funding to match the money from the endowment. However, lack of departmental funding should not discourage one from applying. The amount of award will be no less than $100 and no greater than $1,000. Payment of the activity should be made with university funds. The completed application form, which includes a narrative proposal section, is not to exceed 750 words. The proposal should clearly outline how the funds will be used and the anticipated impact regarding personal and university enrichment and growth. A specific activity must be identified in the application, which should include a website or educational materials regarding the training, if applicable. Teams and groups may also apply for funding. Applicant must submit a post-experience report outlining how his or her career was enhanced by the education/training received within 30 days of completing the activity. Applicant must submit related receipts for reimbursement within 30 days of completing the activity. For groups, only one report is necessary, which includes a comprehensive description of the impact on the participants. For group applications, the department is named the recipient. The maximum awarded to departments is $1,000 every two years. Individual staff members who take part in funded group activities are not assessed any dollars that count towards their maximum limit. If the activity approved for funding does not happen due to unforeseen circumstances, the award is closed and does not count against the person’s cumulative award total. Applications are completed and submitted to Human Resources, Administrative Center 226 or email mickeysu@umkc.edu . To facilitate the application process, forms have been developed for individuals and teams. The application includes a template for a detailed budget. A committee will review applications and determine awards on a quarterly basis. Deadlines for calendar year 2018 are: March 30, June 29, September 28, and January 2, 2019. Applicants are notified whether they have been approved or denied within two weeks of the quarterly due date. Funds are released for reimbursement only when receipts have been submitted. Please be mindful of this schedule before submitting applications. The focus of the Emergency Relief Fund is to provide monetary support during times of temporary or unforeseen financial hardship. In addition to staff development, the donors recognize that sometimes staff members are confronted with unexpected, personal hardships that make it difficult to maintain a fulfilling work and home life. The donors want these individuals to have a way to obtain assistance to get them through a temporary challenge in their lives. The purpose of the Emergency Relief Fund is to provide these opportunities to staff. A committee will review all requests and may make recommendations to the staff member to participate in financial counseling, debt management or Employee Assistance. Temporary financial hardship is caused by a defined, catastrophic, time-limited, specific event or a series of events, which when combined cause unforeseen/unexpected hardship – something for which an individual may not have been able to plan. Specific events might include but are not limited to death of a family member, fire, serious illness or sudden injury. Widespread occurrences such as flood, tornado or act of terrorism are not considered. In addition, temporary financial hardship means that staff were able to manage their finances prior to the event that created the hardship. However with monies from the fund, they could regain financial stability within several months. Longer-standing financial problems would likely not meet the temporary nature of the eligibility requirement. Benefit eligible, administrative, service and support staff who have been employed for at least six months at the time of application are eligible to apply for the Emergency Relief Fund. Priority will be given to those who have never received aid from the fund. Requests are limited to $200 – $1,500. The maximum payment is $1,500. The money is taxable and is issued through the payroll system. Staff members must provide documentation that they have investigated other means of assistance. Applications are submitted to Human Resources. Due to the highly personal nature that drives a staff member to need aid, information will be protected and held in confidence. In most situations, personal information will be redacted from the application. However, information may be shared with the Executive Committee (three Vice Chancellors) on an exceptional basis.